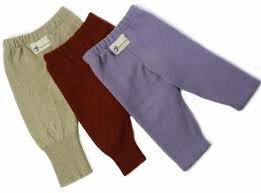 Our wool longies are super absorbent, soft, and moves with your baby while remaining breathable. Our longies contain natural water-proofing lanolin. Like all of our wool products, these are very easy to care for. These serve as both a cloth diaper cover and pants for your baby.